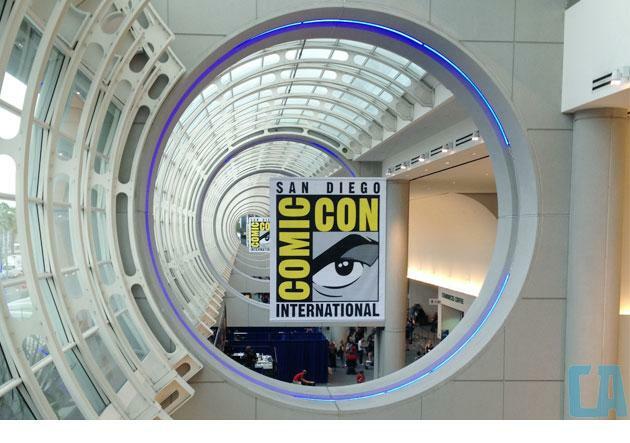 More and more companies have been revealing their exclusive merchandise for this year’s San Diego Comic-Con, which takes place between July 24th through the 27th, and now classic toy company Hasbro has unveiled their line-up of figures, replicas, and more! Featuring a number of popular franchises, both classic and new, fans won’t want to pass up these limited edition releases! 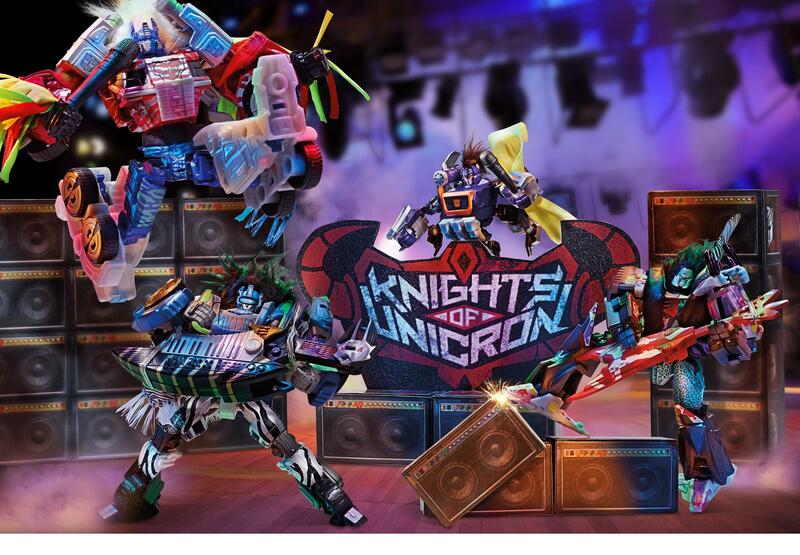 Transformers has been one of Hasbro’s biggest names in the past decades, and with the series reaching its 30th anniversary this year alongside the release of the new movie, Age of Extinction, Transformers has had a lot to celebrate. Hasbro helps commemorate the occasion with the release of several SDCC exclusives dedicated to the franchise! 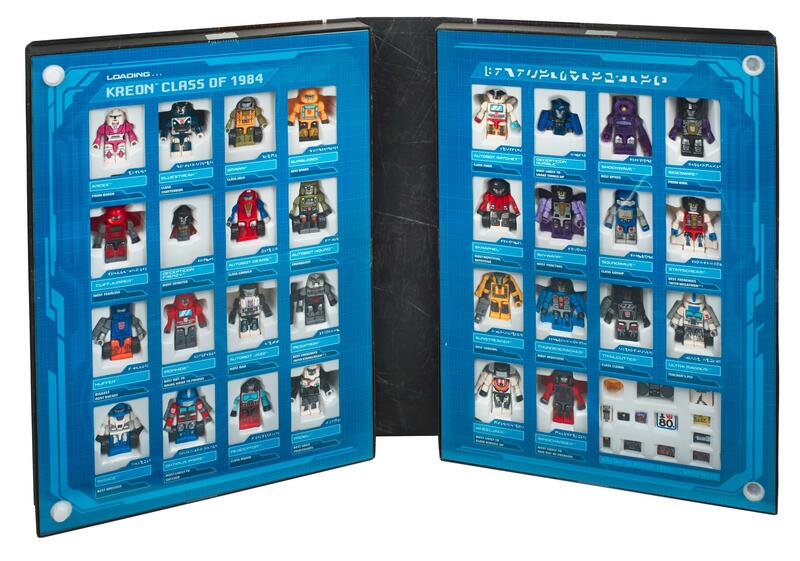 First off is the new “Transformers Class of 1984″ Kre-O set, which includes 30 Kre-O miniatures based on the original season of the cartoon! On top of releasing previously unavailable Transformers in this set, like Ultra Magnus, Rumble, and Frenzy, all of the figures feature brand-new decals based on their original cartoon appearances, making this $59.99 set a must-have for fans of the classic franchise. Another release that pays homage to the original 1984 Transformers cartoon is the exclusive Dinobots Action Figure Collection. This set, which features four Dinobot Transformers from the recent Age of Extinction toy line, brings the Dinobots to life in their original silver, red, and gold color schemes, and even casts them in vac-metal parts akin to their original G1 releases! 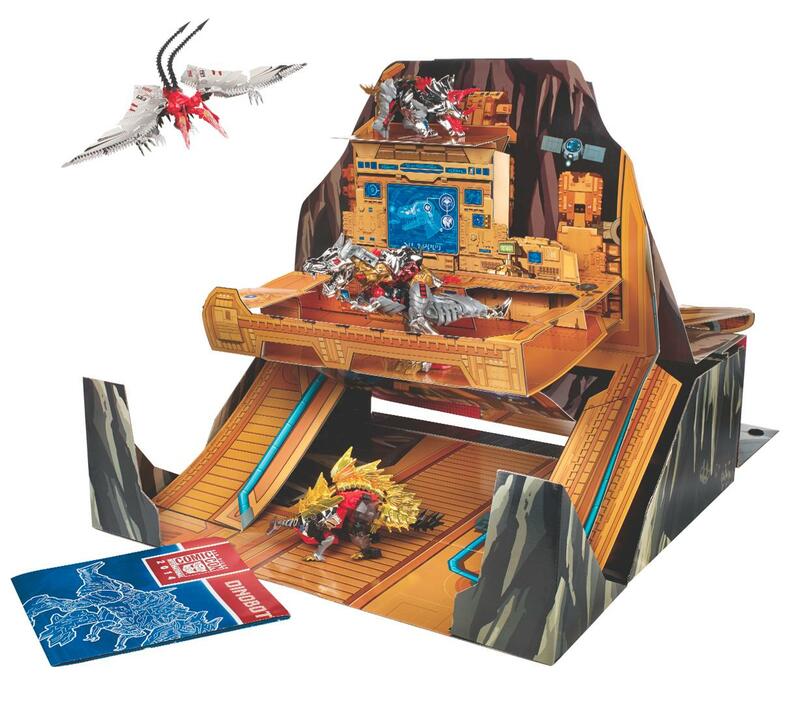 The box even transforms into a miniature playset based on the Autobot Ark, which served as the home base for the protagonists! With box design by famous Transformers pop-up artist Matthew Reinhart, this set is priced at $159.99. The final Transformers release is the Transformers 30th Anniversary Tour Edition box set, which brings four Transformers to life in 80s hard-rockin’ decals and accessories! Featuring Optimus Prime, Megatron, Jazz, and Soundwave, all four of these figures feature glam rock accessories, hair, and even instruments that transform into classic Decepticon animals Laserbeak and Ratbat! This boxset is packed in a roadie case, which includes special edition posters, stickers, booklet, and more, all for $184.99! The Star Wars Black Series of 6″ action figures has been a hit with eager fans over the past couple years, recreating some of the most iconic characters and designs of the movie series in incredible detail and articulation. 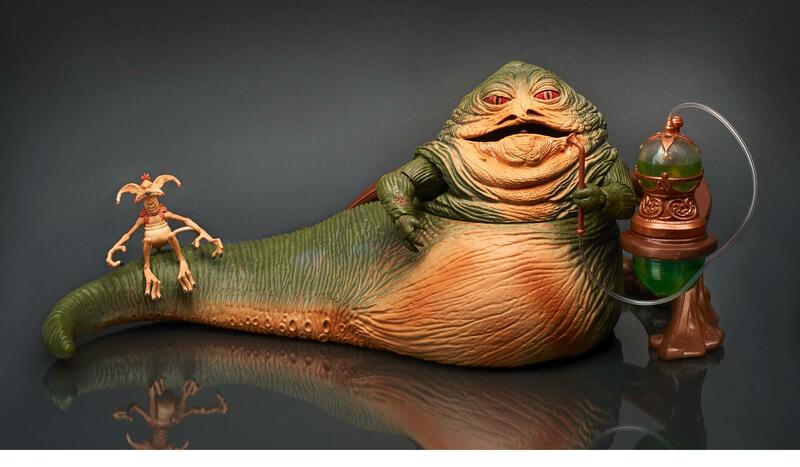 Hasbro has now taken the next step at this year’s SDCC, and has unveiled the first 6″ scale figure of Jabba the Hutt in a Black Series exclusive release, the Jabba the Hutt’s Throne Room set! This fan-requested character, seen in the 1981 Return of the Jedi film, this figure features the high level of detail and articulation that fans have come to expect from the Black Series, and also comes with an in-scale articulated figure of Salacious Crumb, Jabba’s tiny companion! The set also features exclusive railing and hookah, all packed in a box that was created to resemble Jabba’s throne room. Retailing at $64.99, this will be the first chance for collectors to get their hands on this iconic and nefarious Star Wars villain! Another popular series getting tribute at this year’s Hasbro Booth is the classic Marvel comic, The Infinity Gauntlet. Fans of the series will be glad to see a wearable, life-size replica of the famed Infinity Gauntlet available at the show, along with four exclusive 3.75″ figures of Thanos, Mistress Death, Nebula, and Starfox! This set, which will sell for $74.99, features unique accessories with each figure, and recreates the infamous gauntlet in roleplay-safe foam. The Thanos Imperative also gets some attention in the form of an exclusive 5-figure pack, recreating some of the most popular characters from the series in the Marvel Legends Infinite series! Priced at $99.99, the set features 6″ figures of Black Bolt, Star Lord, Blastaar, Medusa, and Gladiator. The box is even shaped to resemble the Galactus Engine weapon from the comic! Other popular franchises available at Hasbro’s booth include My Little Pony, which will see two exclusives at the event based on the Mane-iac Mayhem pony. The first is a recreation of the character in miniature format, featuring elongated hair and glossy purple, gold, and black paint apps. This figure also comes with her companion, Spike the Dragon, and will retail for $49.99 at the event. 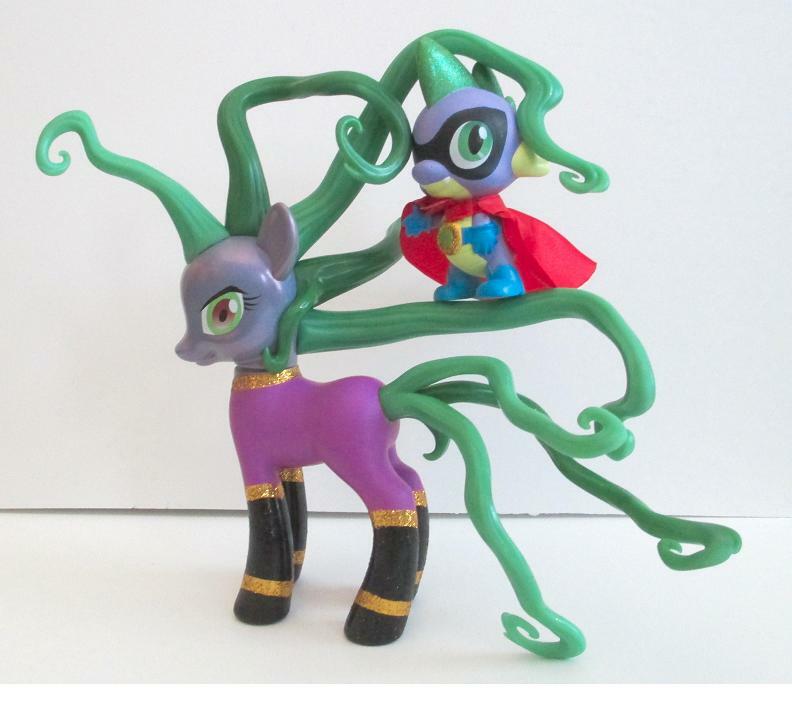 The other MLP release is a re-imagining of Mane-iac Mayhem in the Equestria Girls line, turning the pony into a mad-haired madam! Featuring an intricate costume and mutli-colored hair, this exclusive is priced at $29.99. Other Hasbro releases include the new Magic 2015 Planeswalker card game set, packed with the brand-new NERF recreation of Garruk’s Axe for $110.99, along with a new Mighty Mugg figure of Rom the Space Knight! 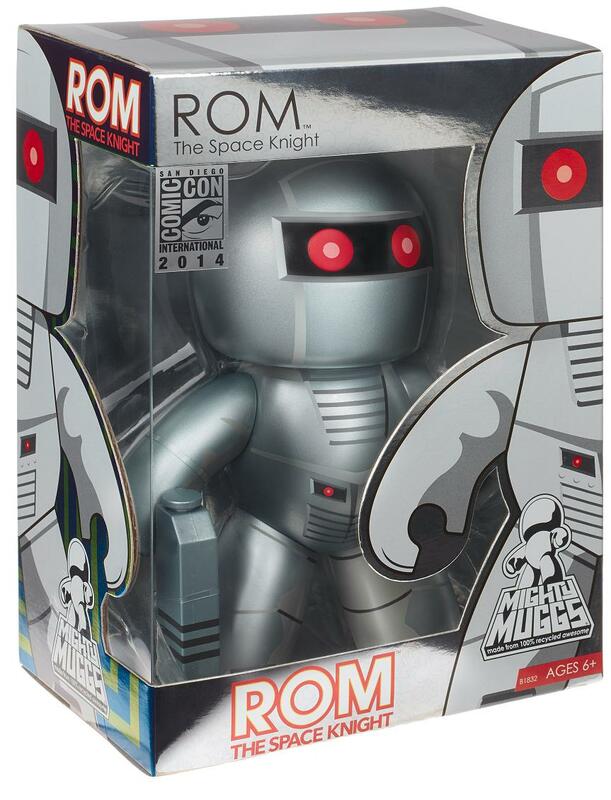 Celebrating the 35th anniversary of the orignal Rom toy released in 1979, this 5.5″ toy is sure to surprise some classic toy collectors, and is priced at $22.99. 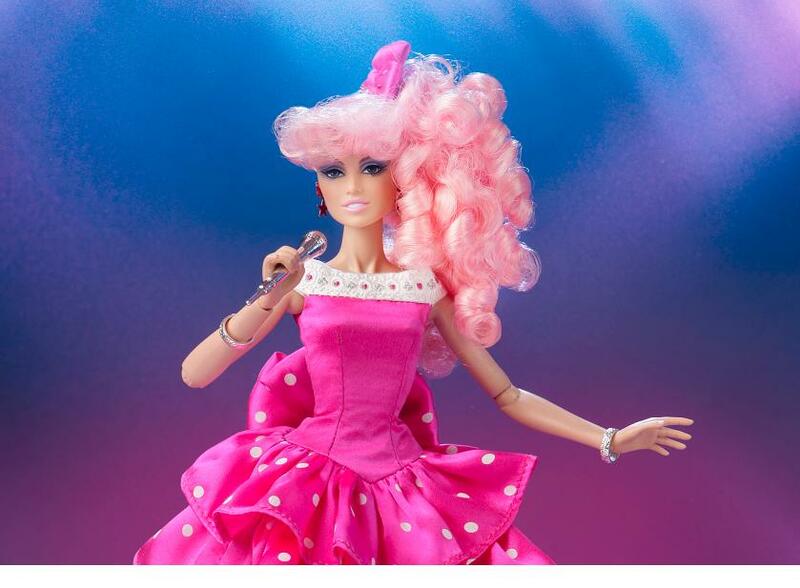 Finally, Hasbro has unveiled a new special edition Rockin’ Romance Jem doll for the show! Standing at 12.5″ tall, this new release commemorates the original line released in the 1980s with retro-themed decals, colors, and outfit, and even comes in a sleek mirror-finished outer box! This release will retail for $139.99 at the event, and is sure to delight fans of this classic doll series! With all these releases and more debuting at SDCC in the coming week, Hasbro has announced that a limited number of all the exclusives revealed will be avilable on their online shop after the event closes, giving fans all over the world the chance to own these cool new releases!